Background Image Via: Pixabay. Used under Create Commons licence 2.0. Over the last fortnight, since that unforgettable night in Paris, the problems have begun to mount. Injuries have further decimated the squad while back-to-back defeats have been an almighty bubble-burster. During the current international break, no fewer than FIVE United players have withdrawn from playing for their respective nations with injury issues. The question we'd like to ask is a simple one. Why? It can't be just bad luck or coincidence. There has to be a reason. Sure, every club suffers injuries, that's just the nature of the business. United's treatment table has filled up at an alarming rate. Which is obviously raising massive cause for concern. When Solskjaer first took charge his squad was looking in brilliant health. Let's not forget that recently, the Baby Faced Assassin has called upon the services, and handed debuts to, Mason Greenwood, James Garner and Tahith Chong. Make no mistake about it, his hand was forced. In terms of stylistic comparison between Jose Mourinho and Solskjaer, anyone can see that the squad is suddenly being worked far harder. With the self-proclaimed Special One at the helm, United would sit back, conserve energy and look to play on the break. While the counter-attack is still a huge cog in Solskjaer's well-oiled machine, the Norwegian demands much more from his players. They're looking to press higher up the field, they want the ball back in their possession as quickly as possible, rather than looking to soak up the pressure and standing off. 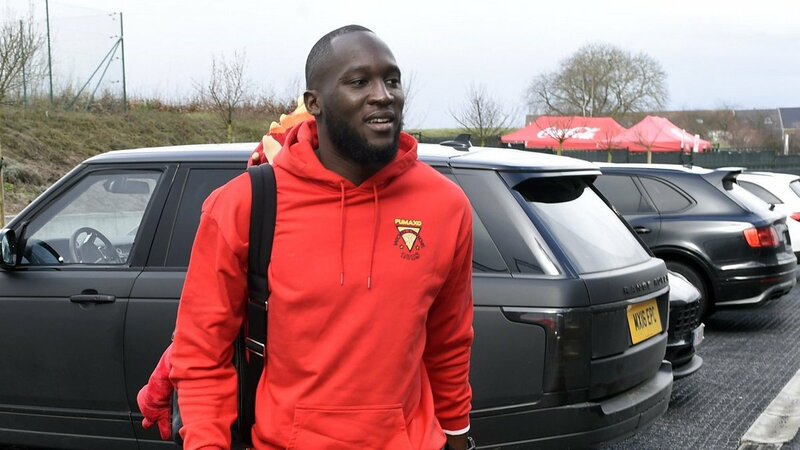 Lukaku joins Shaw, Martial and Lindelof in being pulled out of international duty. Naturally, the players are putting their bodies through a bigger workload. Solskjaer is demanding more and the lads are answering perfectly, but it's coming at a cost. The situation is 'worsened' due to the fact that the current manager was appointed mid-season. The squad haven't had time to adapt or prepare. They've been thrown right in at the deep-end. Eventually, it'll catch up with you. In the early goings of the Solskjaer era, momentum was carrying the team through it. The dressing room were giving that extra 10% for the cause, they were working harder, they were willing to fight through niggling problems because they were enjoying themselves. Now, the dust has settled. The immediate effect that the Baby Faced Assassin has started to wear off. It's only normal. Coming to the business end of the campaign, it's clear that United are trying to rush players back. That has affected both Jesse Lingard and Anthony Martial negatively, but thankfully, the Red Devils do have a deep squad. Solskjaer has options aplenty whom he can call upon, Greenwood and his pals are no doubt salivating at the prospect of potentially being in the matchday squad for a game of the magnitude of FC Barcelona in the Champions League. Perhaps when the players have had a full pre-season to adjust and adapt, we'll see fewer injuries suffered. For now, though, it's a price that United fans are willing to pay. They're enjoying themselves again and that's the most important thing in the sport. It's why the elite managers are so picky when it comes to signing new team members, they have to fit into the system rather than having a system that fits the individual. That's partly why United have failed on and off the pitch recently, but it's good to see Solskjaer rediscovering their identity.